The Congregational Leader, who is elected at a Congregational Chapter for a mandate of five years, is invested with the primary responsibility of the Congregation. With the assistance of a Council, she governs the Institute in accordance with the Constitutions and Statutes, in fidelity to the Gospel, and in keeping with the mission left to us by Marguerite d’Youville. The Council consists of a Congregational Secretary, a Congregational Councillor and Treasurer, and a Congregational Assistant. There are Coordinators who assist with the leadership and animation of the various legitimately organized groups throughout the Institute. 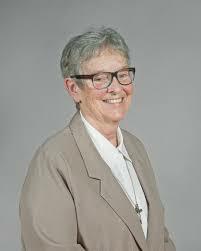 Sister Aurore Larkin is a native of Cornwall, Ontario. She entered the Grey Nuns of Montreal in 1963 and pronounced her vows in 1966. Her career has been rooted in the charism and mission of Foundress St. Marguerite d’Youville. She obtained a degree in theology and was trained as a social worker. She worked first in the NorthWest Territories and then in the province of Alberta. 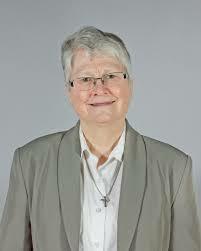 Over the years, she has occupied different positions of leadership in the Congregation, including ten years as Superior General between 1996 and 2006. She then served a variety of social service community organizations in Montreal until July 2016 before she was elected as Congregational Leader for a period of five years. Sister Thérèse Desfossés is a native of Pointe-du-Lac, in the area of Trois-Rivières, Quebec. She has been a member of the Congregation since 1972. A nurse by training, she began her career caring for the elderly in the following government institutions: Foyer de Nicolet, St. Joseph Hospital in Trois-Rivières, Foyer Harricana, Amos and Foyer St. Célestin as Director of Nursing. In 1985, upon request of the Provincial Leader, she accepted responsibility for the Vocation Ministry in Nicolet. Between 1986 and 1995, she served in various positions among the Diocesan offices in Nicolet. From 1995, she was involved in the Diocese of Montreal in pastoral related services while accepting a position of Leader in her local community (2003-2004). Sister Desfossés accepted a first management position in 2001, as Provincial Councilor (Montreal), then in 2004 she became Assistant and provincial Secretary for the Eastern Region. In 2010, she was appointed Leader of Maison St-Jospeh and of the Centre de santé des Soeurs Grises in Nicolet. She was elected Congregational Secretary in July 2016. Since the end of 2017, she also assumes the role of Congregational Treasurer. 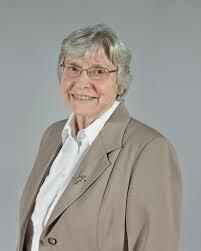 Sister Elaine Baete is a native of Holland, Manitoba. She completed her Licensed Practical Nursing at St. Boniface General Hospital. After graduation, she worked at St. Boniface Hospital before entering the Grey Nuns of Montreal. She pronounced her vows with the Grey Nuns in February 1983 and became part of the nursing staff of the Taché Centre (Action Marguerite) in Manitoba. After she completed a theological degree and her religious formation, she was actively involved in the vocation ministry and religious formation. Between 1998 and 2001, she served as Councilor on the St. Boniface Provincial Leadership team in Manitoba. After various volunteer initiatives and pastoral of baptism in the parish of St. Ignace in Winnipeg, Sister Baete worked with youth in University Pastoral activities and also in parishes, notably in St. Paul College, in the University of Manitoba in the archidiocese of Winnipeg and within the diocese of St. Boniface, until her election as Congregational Assistant in July 2016.